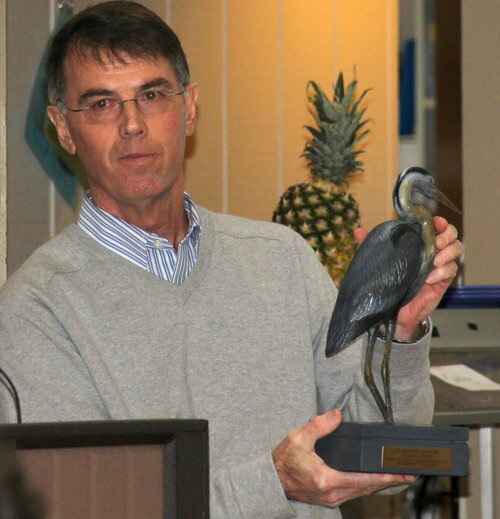 Honoring a public servant who has gone above and beyond to foster environmental stewardship. This award honors the legacy of WSA co-founder, Ron Bowen by recognizing an individual who has made a unique contribution to environmental stewardship in Anne Arundel County by connecting government or institutional resources with private sector investments to generate significant environmental actions. Congratulations to Erik Michelsen, our inaugural award recipient! Anne Arundel County Executive Steuart Pittman, together with members of Ron Bowen's family, will present the Ron Bowen Environmental Legacy Award to Erik Michelsen, Administrator of the Watershed Protection and Restoration Program, at WSA’s Annual Spring into Action Conference on Saturday, February 23rd at Northeast High School. We hope you'll join us as we celebrate Erik and honor Ron's legacy! "Not only does Erik help build infrastructure around the restoration movement in Anne Arundel County, but he helps connect the pieces to make the movement work on a large-scale. Erik has helped create many dedicated places where Stewards are able to find resources, funding, and are able to execute projects in their communities," said Kate Fritz, Executive Director of the Alliance for the Chesapeake Bay and Master Watershed Steward. "Erik, much like Ron, continues to collaborate and coordinate work across the restoration movement in Anne Arundel County. Erik leaves a legacy of dedicated funding available at different scales of implementation, across Anne Arundel County, enabling a predictable future of action and implementation for cleaner water." Ron Bowen served as the Director of the Anne Arundel County Department of Public Works, DPW. Ron was recognized for his outstanding leadership in establishing county wide environmental assessment data and state of the art restoration solutions. Ron retired from his director position in 2013 and unfortunately, he passed away in May of 2018. One of Ron’s proudest roles was as a co-founder of the Anne Arundel County Watershed Stewards Academy, WSA. Ron recognized that we could maximize our environmental action by combining the resources of Department of Public Works with an engaged population of trained environmental leaders. Ron’s organizational and technical skills were crucial in developing WSA’s mission and structure. Ron served as an integral advisor to WSA, assisting in training and developing a unique relationship with concerned community leaders. Ron strongly believed that government alone could not solve our environmental problems. If we combined government resources with the enthusiasm of trained community leaders, we could create an army of empowered citizens. Ron was tireless in this effort, devoting countless hours that went far beyond his job description. He never said, “This is not my job.” He rolled up his sleeves and got directly involved in countless community projects. He truly became an environmental hero who was loved and respected by his professional colleagues and the residents of Anne Arundel County. WSA initiated the Ron Bowen Environmental Legacy Award in 2018 as part of its 10th Anniversary Celebration. The intent is to honor the legacy of Ron’s contributions, which have lived on as a model of government leadership, and continues to be a critical foundation for the success of WSA. The Award will recognize and honor the efforts of an individual who comes from a local, state, or federal government agency or a non-profit organization. The purpose of the Award is to honor Ron and the awardee, and to encourage the continuation of Ron Bowen’s vision of agency and citizen partnership to make Anne Arundel County a cleaner and healthier place to live. Read more about Ron’s impact here.